Travel and tourism in india, pilgrimage, adventure, wildlife, hillstations, beaches, historical places. India is secular nation that bears equal tolerance to all religions. Hence, one can find many religious places specific to different religious groups. There are Hindu, Islamic, Christian, Buddhist, Jain and Sikh religious places. India has seven principal mountain ranges and the most important amongst them are the Himalayas followed by the Shivaliks, which have the most popular hill resorts. Shimla, Dalhousie, Nainital, Mussorie, Panchmarhi, Mount Abu, and Kodaikanal are some of the favorite hill resorts of international tourists. The Indian peninsula is surrounded by the Arabian Sea on the West, the Bay of Bengal on the East and the Indian Ocean from the South. The Sahyadri hills have given rise to the scenic beauty where the sea and hills meet. This has made Konkan on the western coast a very rich and fertile land. While on the eastern side, a wider area stretches between Bay of Bengal and Eastern Ghats, called as the Coromandal Coast. India has many places of adventure to be explored. These places have their own and unique experience, thrill and excitement. Over the years places like Mahabaleshwar have developed para-gliding, and parachute rides. It takes your breath away, watching the beauty of the hill station from a height. 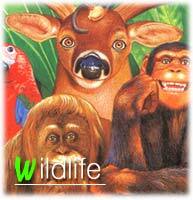 India has a varied and rich wildlife. It has the Stripped Royal Bengal Tiger, one horned Rhinoceros, Wild Buffalo, Swamp Deer and many other exciting animals. Today India is a home to all kinds of people from different religions. Each having its own unique culture and tradition. You don't need a special reason to come to India, still if you need one we have many. Spiritualism has brought Madonna, Kate Winslet and many Hollywood stars to India. Every year millions come to India to visit the Taj Mahal, a symbol of love. Some come to explore the diversified cultures and traditions, and some for the scenes in the Himalayas. You could enjoy a Royal treatment in a ten day train travel from New Delhi to Jaipur and other places by the PALACE ON WHEELS Royal train. During this Royal itinerary you have the privilege of staying, dining, etc at the different palaces in Rajasthan. A large number of visitors are also interested to be here to see places like Darjeeling, Simla, Kulu Manali etc. The journey to the Hill Station 'Darjeeling' in the small steam engine train is one of its kind and recommended among all the train travel in the world. Adventure travel could be another reason to come to India. White water rafting, trekking, para gliding, skiing etc. can be enjoyed. 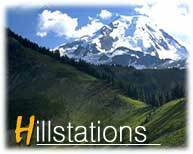 Special treks to high peaks, are arranged by most of the places. Most Western tourists come to India, for visiting places like Kashi, and see the scenes at the Holy river Ganges. Its an experience in itself for these tourists. All in all India offers the best holidays, where one can relax and rediscover oneself.